If you have decided to represent yourself in court, you need to be prepared. The information below, prepared by Our team of Adelaide Lawyers, provides a useful guide to representing yourself in court and what to expect. Seeking legal advice is important before attending any court hearing. Being in contact with a lawyer will enable you to understand your responsibilities, rights and how the law applies to your particular matter, which is generally established on a case by case basis. Most court hearings are open to the public to sit in on. To understand the process of a courtroom and be prepared for your hearing, it may be helpful to watch a case ahead of yours. Ensure you do as much research as possible and acquire the necessary information for your case. Bringing a note pad and a pen is also useful. Since the court is a formal place you should dress accordingly, for instance in a suit or smart day wear and closed shoes. You should arrive at the court half an hour prior to your hearing to give you time to clear security and find the designated court room. You will need to ‘sign in’ with the court officer who is usually already sitting in the court room and then wait for your case to be called. When you are called up and it’s your turn to introduce yourself, state your name and your party title (for example plaintiff, defendant, applicant or respondent). You must address the judicial officer as “Your Honour” or “Registrar”. This is dependent on your case, check with the court officer who is hearing your case if you are unsure. Generally, the judicial officer asks the Applicant/Plaintiff to outline their case. Following this and any cross-examination by the Defendant/Respondent, the Respondent outlines their case. The Applicant may then have a chance to cross-examine. The parties then make final comments on their matter. A judicial officer may then make orders based on the information provided. After orders have been stated, you are free to leave. Before you exit, pause for a moment, turn to the judicial officer and nod your head. Representing yourself in court can be a stressful and daunting experience. 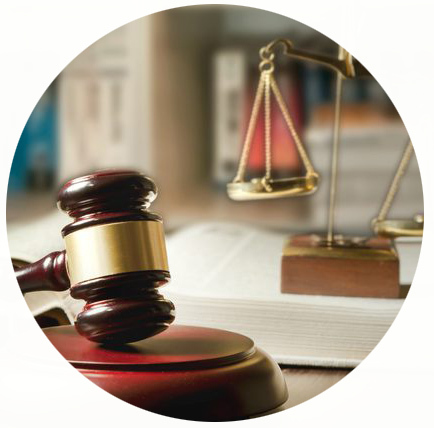 At Pace Lawyers & Adelaide Legal, we have a wealth of experience in litigation and dispute resolution and will gladly assist you with your preparation and or attendance at court.